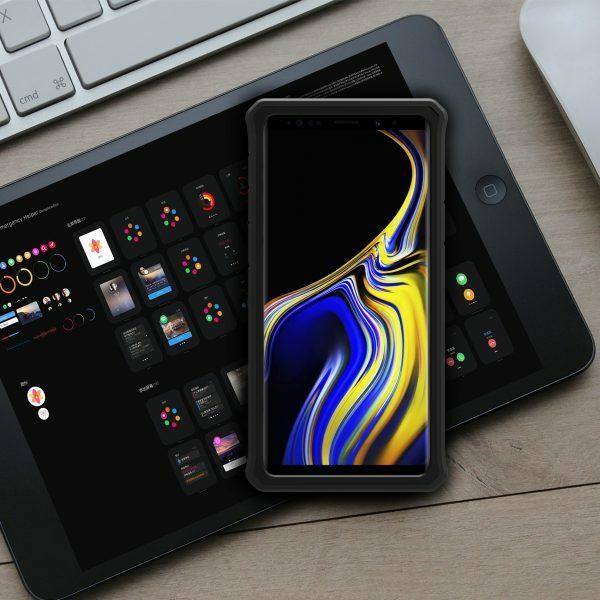 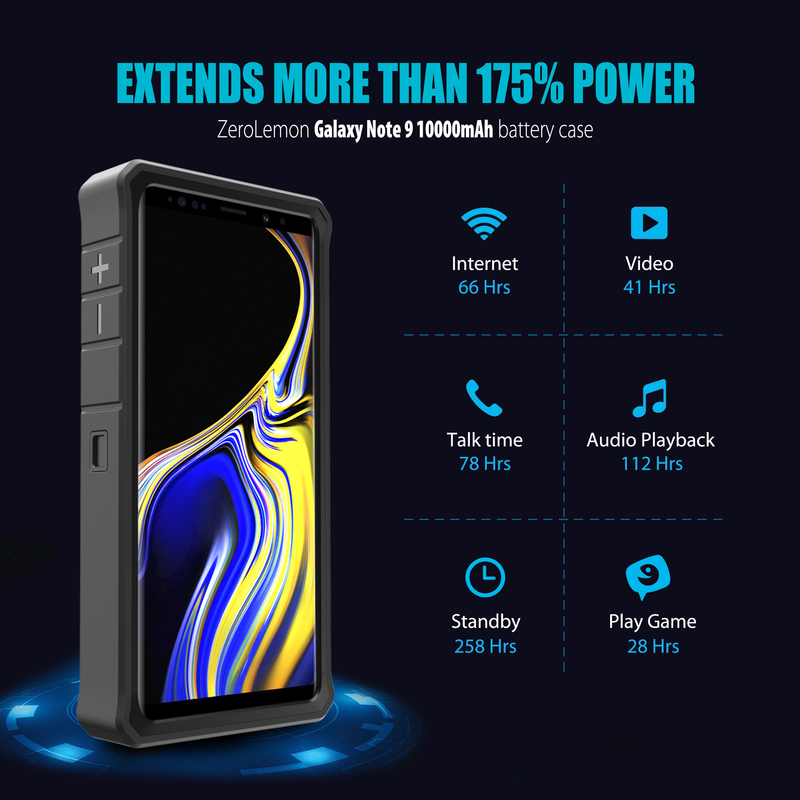 The powerful 10000mAh Li-polymer extended battery can effectively provide 170%+ extra battery life to the Galaxy Note 9. A good battery backup for a business trip, vacation or road trip. 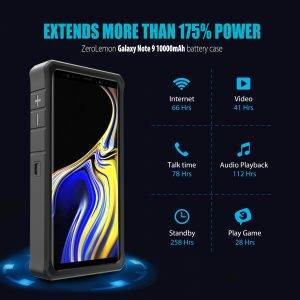 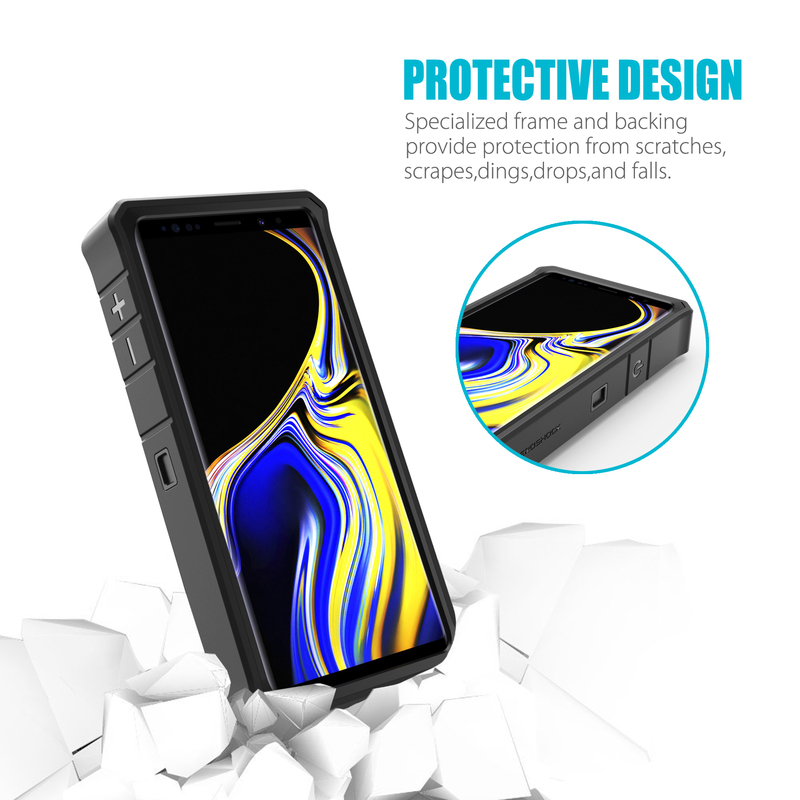 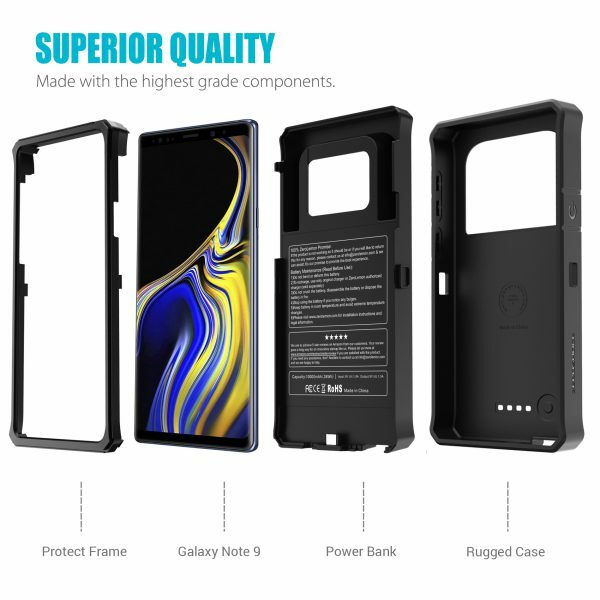 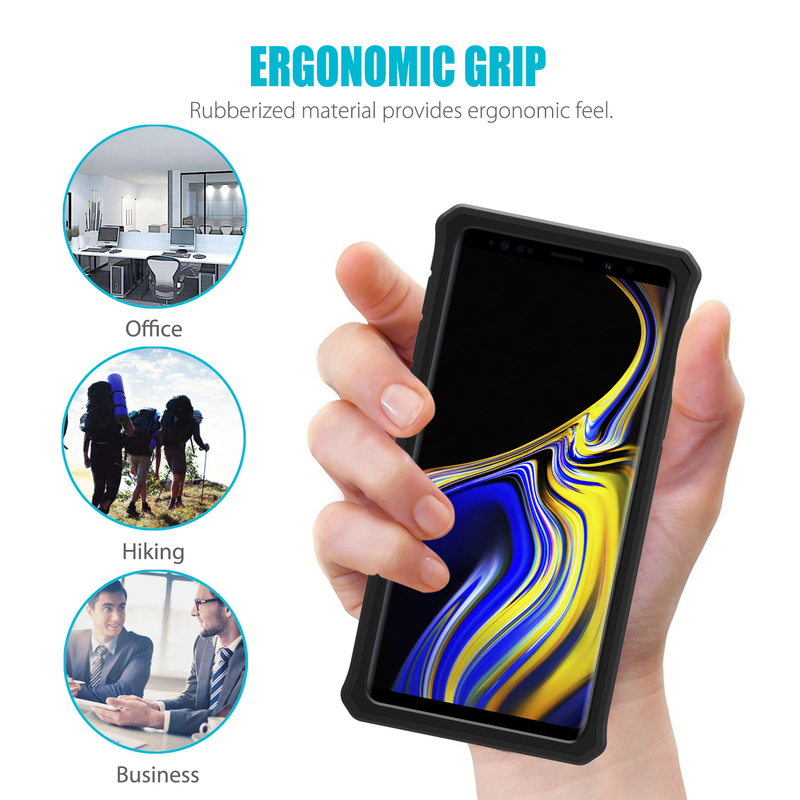 ZeroLemon ZeroShock rugged case offers full edge protection, protecting your Galaxy Note 9 from scratches and other daily wears and tears. 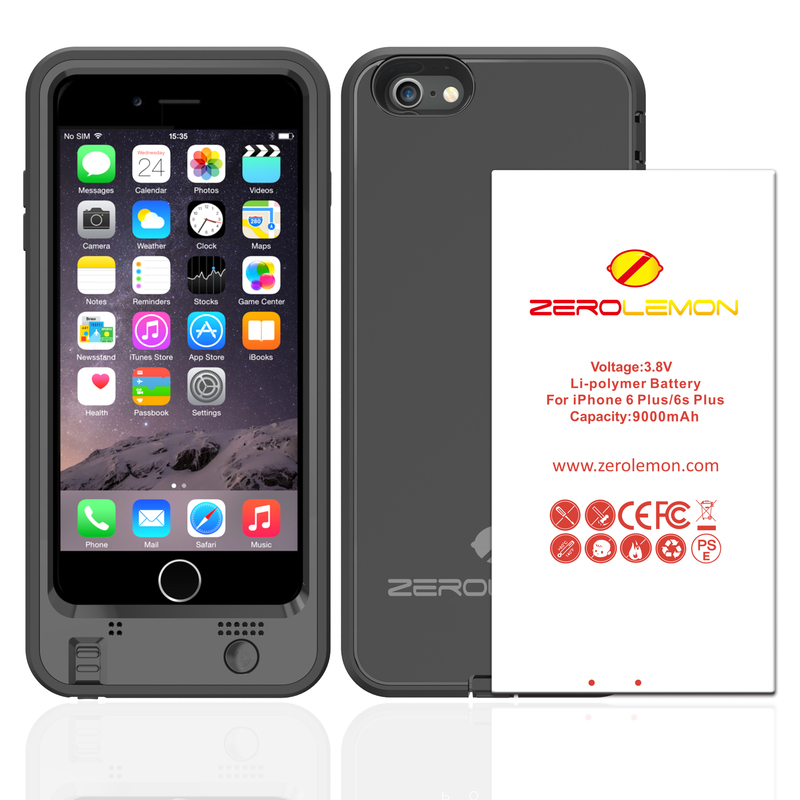 Feel confident with a case that delivers reliable protection all day. 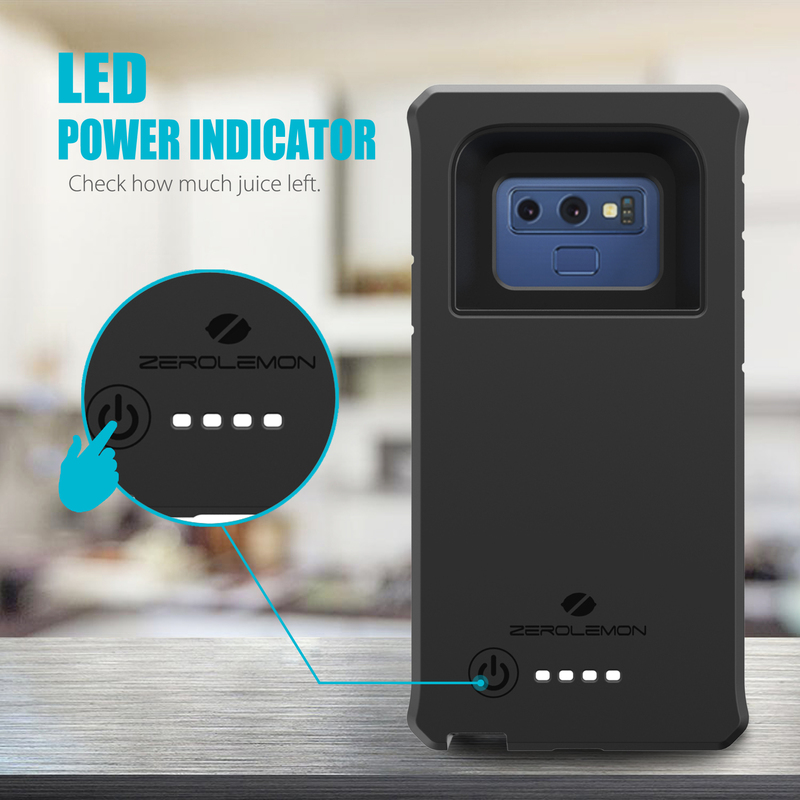 4 LED lights indicate the battery levels and charging status. 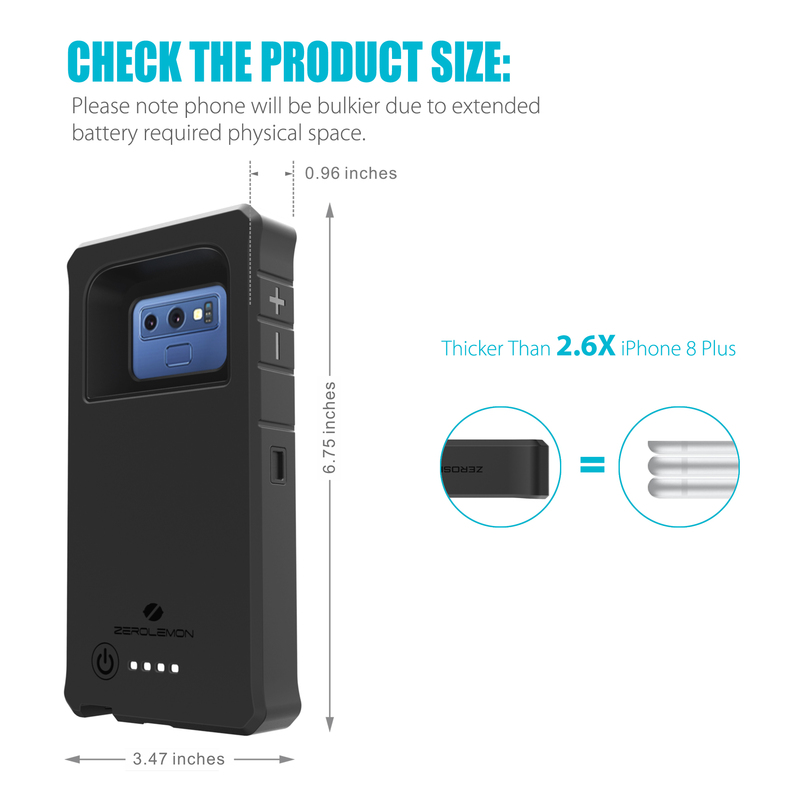 The integrated button allows you to choose when to charge, when you need it most. Know before you go. 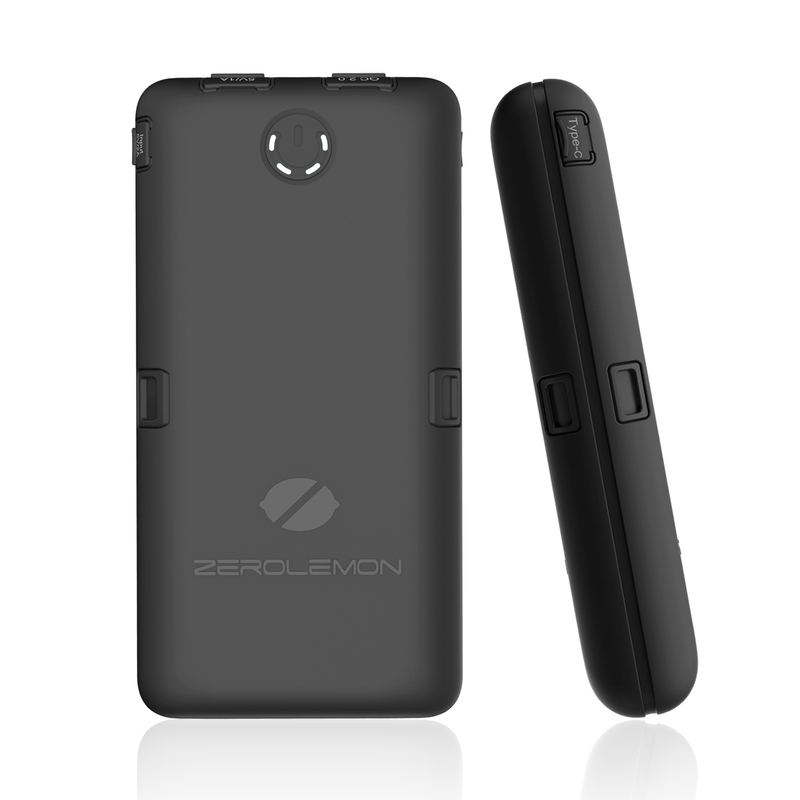 File transfer technology supported. 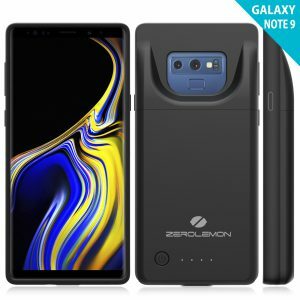 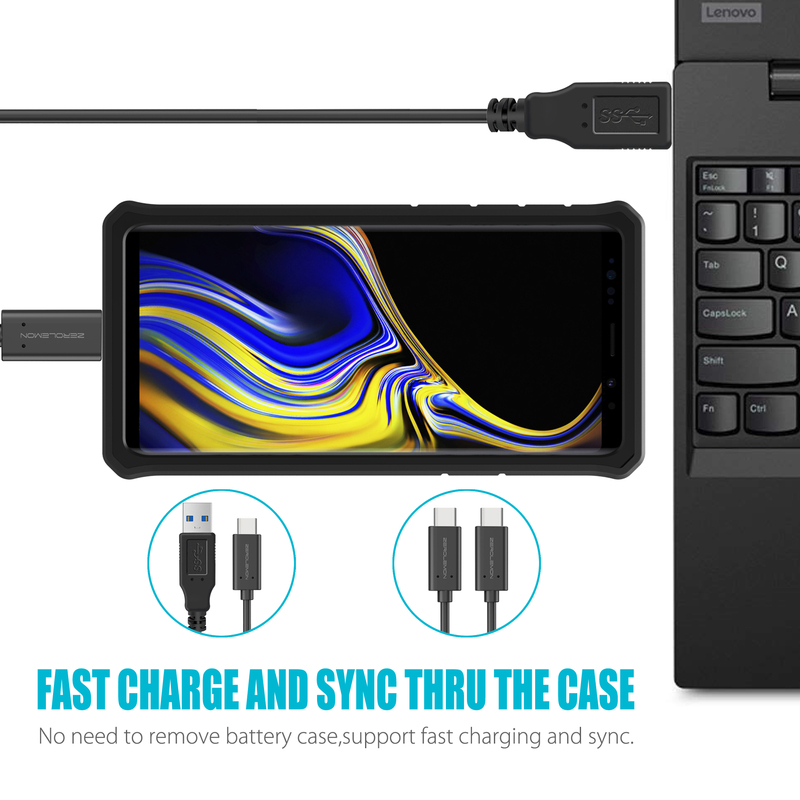 No need to take the battery case off when transferring data between the Galaxy Note 9 and the computer. 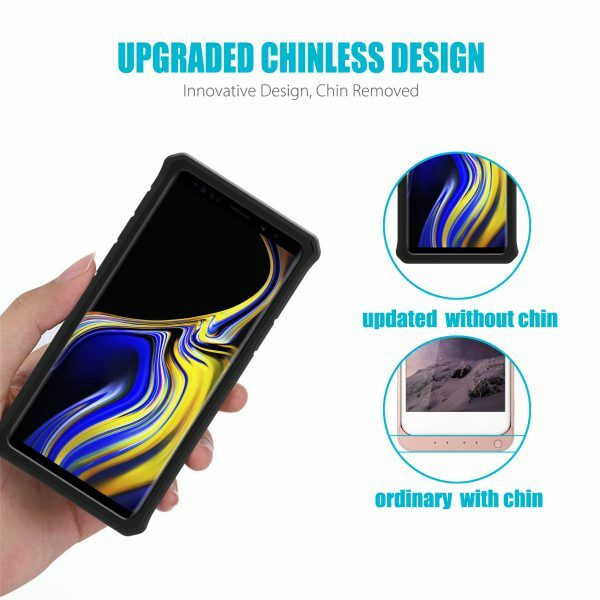 Upgraded Chinless Design: Chin removed – keeps the original length of the phone, which makes it easy to pop out the S-Pen. 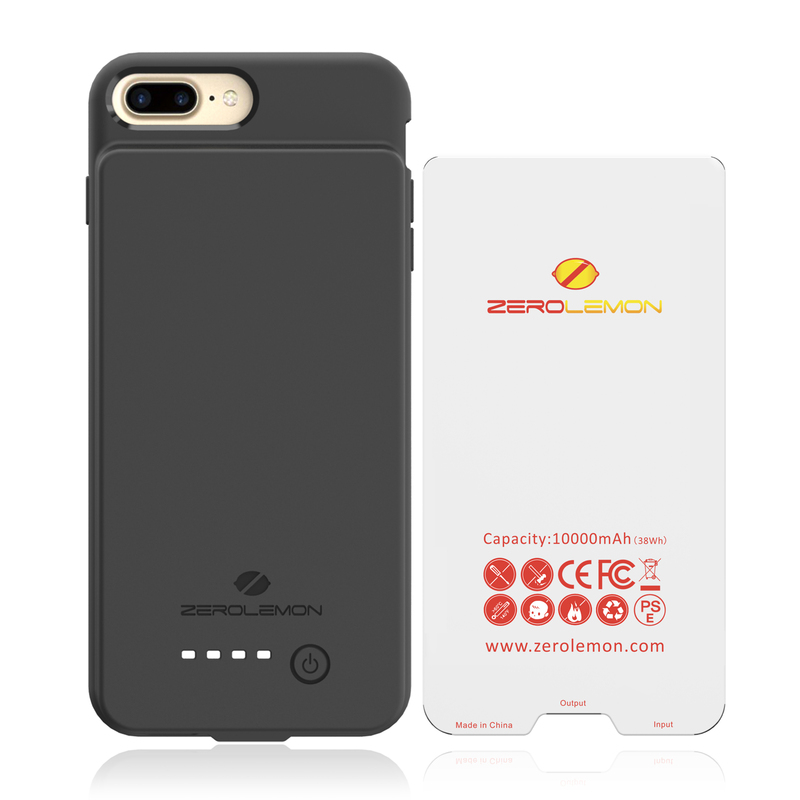 The phone will be bulkier with this battery case due to the extended battery requiring more physical space.